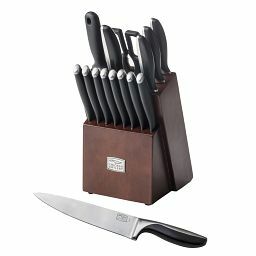 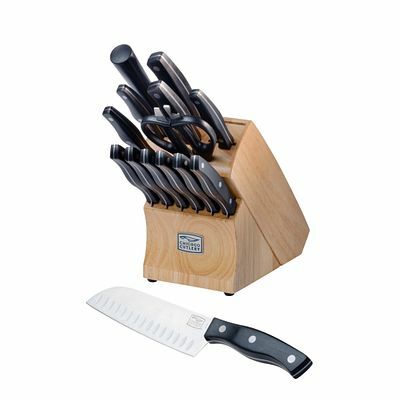 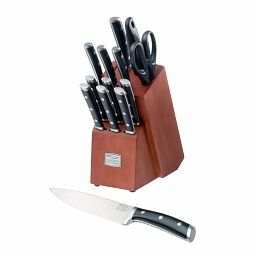 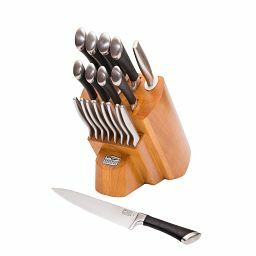 Classic knives made new with contoured polymer handles and high-carbon stainless-steel blades. 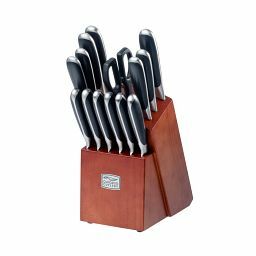 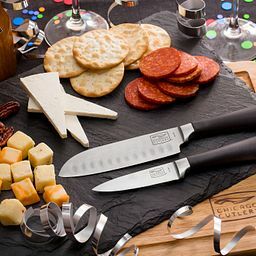 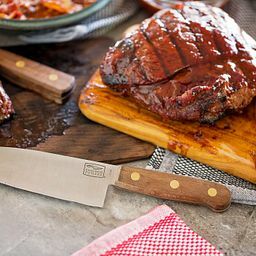 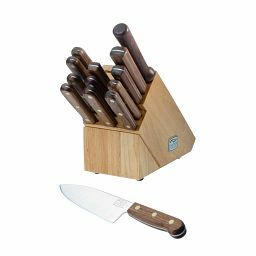 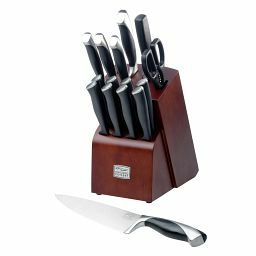 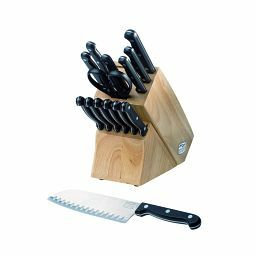 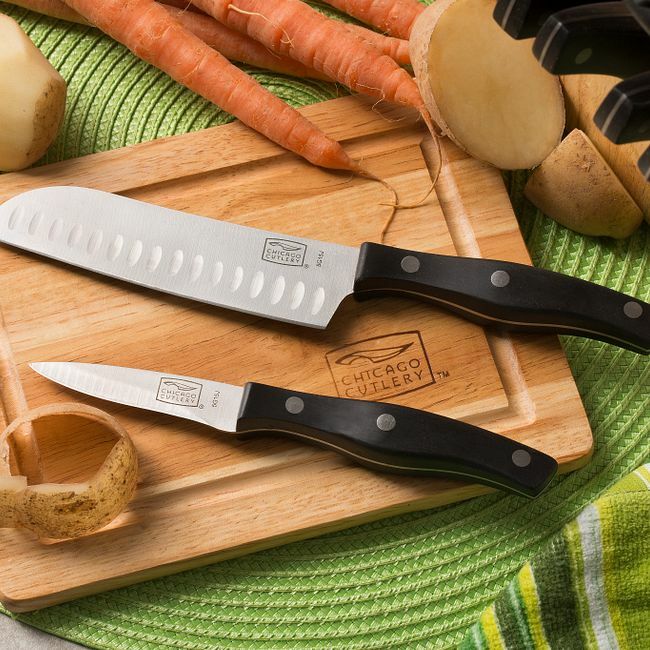 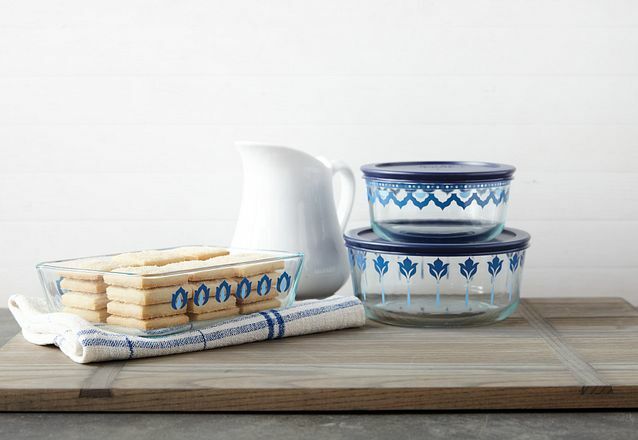 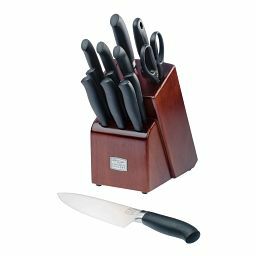 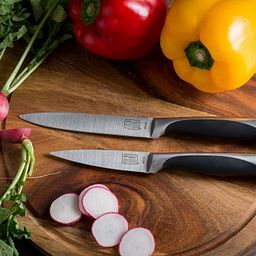 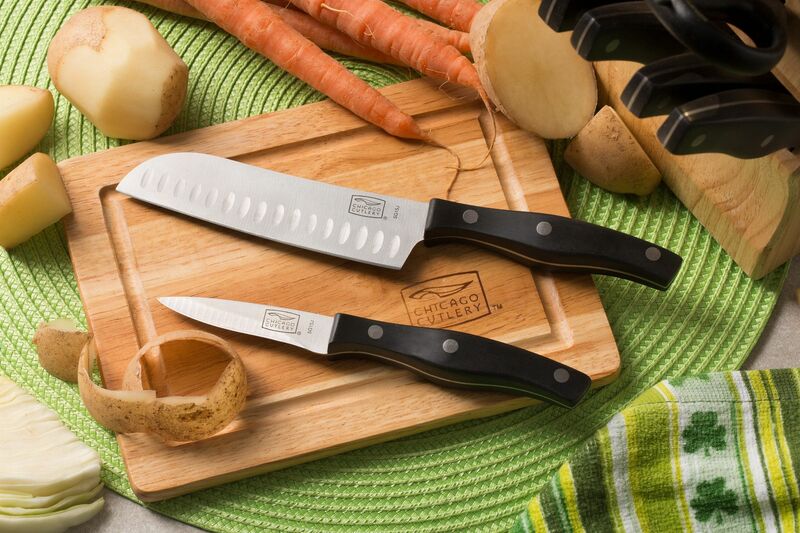 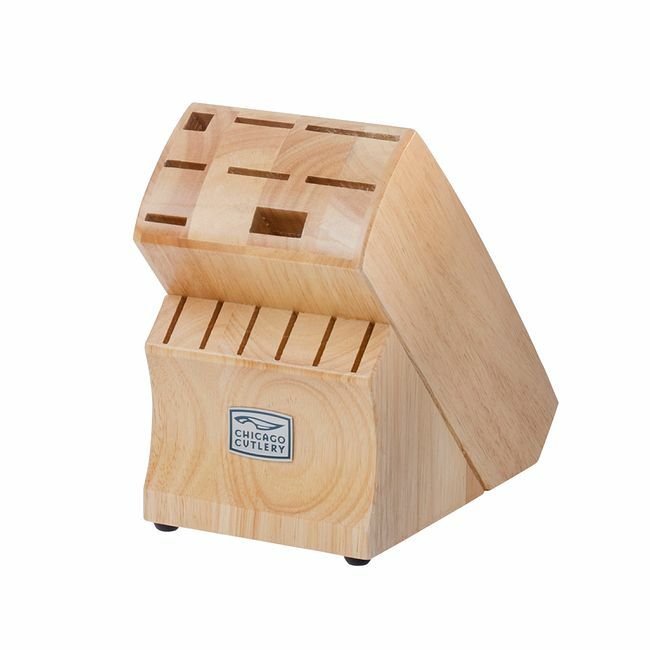 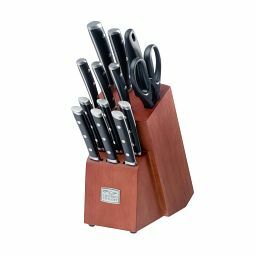 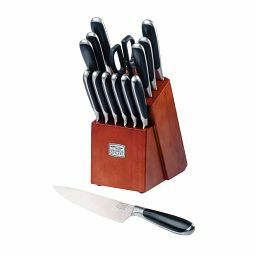 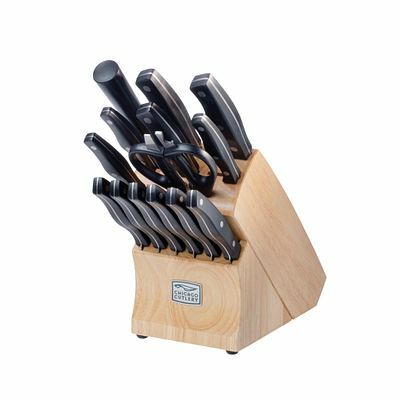 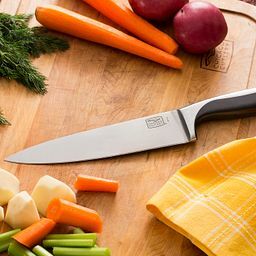 Our updated take on a culinary classic, our fully-equipped set mixes contoured polymer handles with high-carbon, stainless-steel blades, streamlining everything from chopping to paring to slicing. 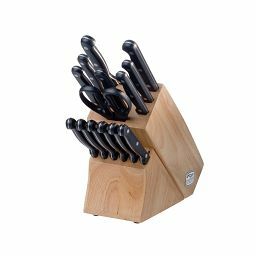 Triple rivets secure the full metal tangs. 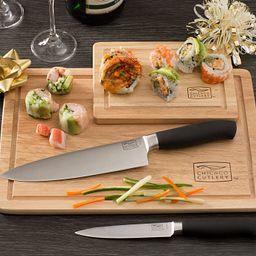 All made to stow safely in the natural wood block.